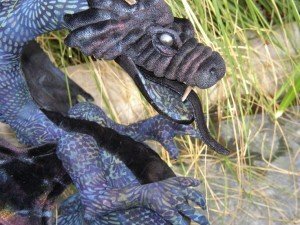 Amy Felske has been recognized from Montreal to Boston and beyond for her work creating mythical creatures such as fairies, pixies, elves and dragons from fiber and fabric. And on August 13-17, she’ll be hosting a retreat and classes to teach her gift to you. Come spend the week at our luxury bed and breakfast, and learn the techniques and tricks that have made Amy and her work truly special. Contact us at (802) 326-4306 to arrange your spot and for lodging during the weekend. Spend the weekend in beautiful Vermont, and come home with a weekend’s worth of memories — and your own handmade dragon!